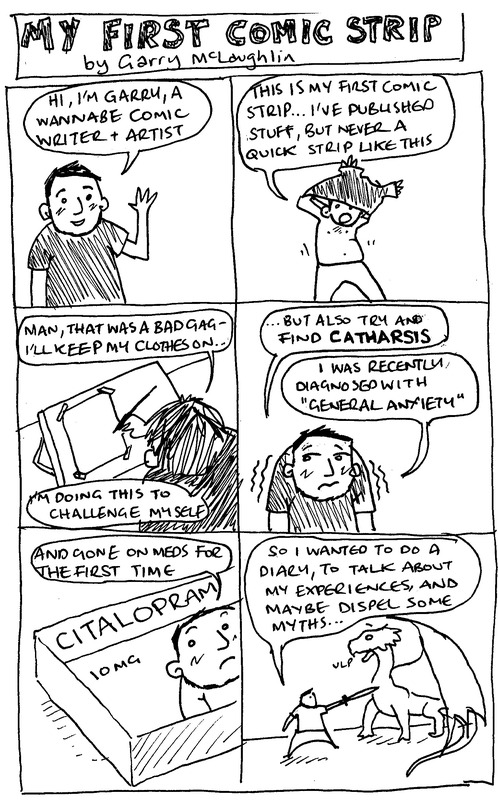 So here it is, the first of my new confessional webcomic where I out myself as a bit of a headcase… I’m planning on doing these fairly regularly – I hope to have at least a couple of posts a week up here. Feel free to contribute with your own comments, words of wisdom, experiences etc. Really enjoying these so far, finding them very relatable. I have experienced similar issues dealing with my epilepsy, and the anxiety that comes out of the fear of taking a seizure. Webcomics such as this and Arse Cancer are great in that Maus type way – personal themes explored in a very simple yet effective way.